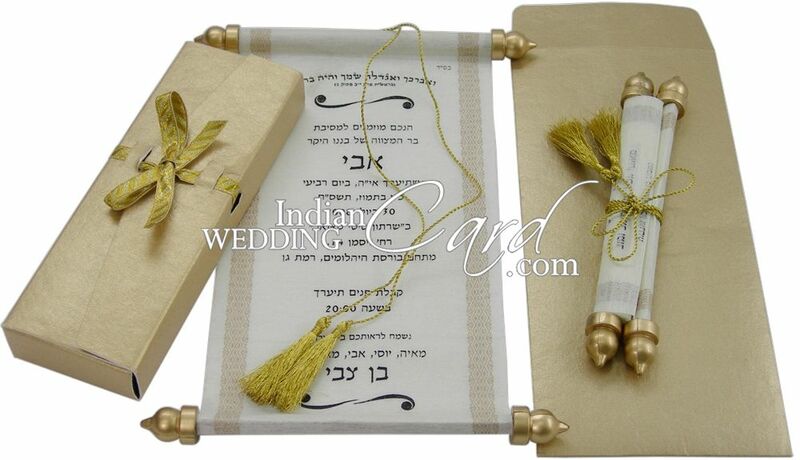 S711, Gold Color, Shimmery Finish Paper, Small Size Cards, Scroll Invitations, Jewish Invitations, Small Size Scrolls, Box Scrolls. 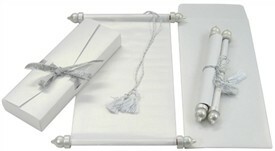 Small is beautiful! 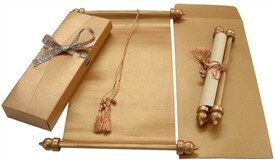 The card is sleek, good-looking and very easy on postage cost and yet has the neatness and exquisiteness of a scroll. 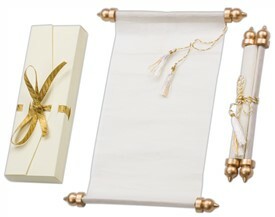 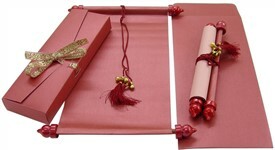 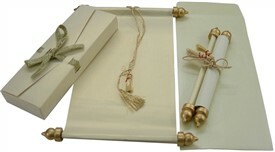 Golden knobs and Matching tassel for the scroll.